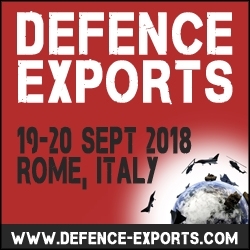 SMi Group Reports: Leonardo, Deloitte, OCR, Pillsbury LLP, ZTE Corporation, Nexter, Rolls-Royce, L-3 Communications Integrated Systems to deliver briefings at the Defence Exports conference in two weeks. London, United Kingdom, September 04, 2018 --(PR.com)-- With the defence trade regulatory environment ever-changing and increasingly complex, companies within the sector are continuing to improve their programmes and maintain compliance. Those who are interested in attending Defence Exports 2018 are advised to register by soon as seats are limited.